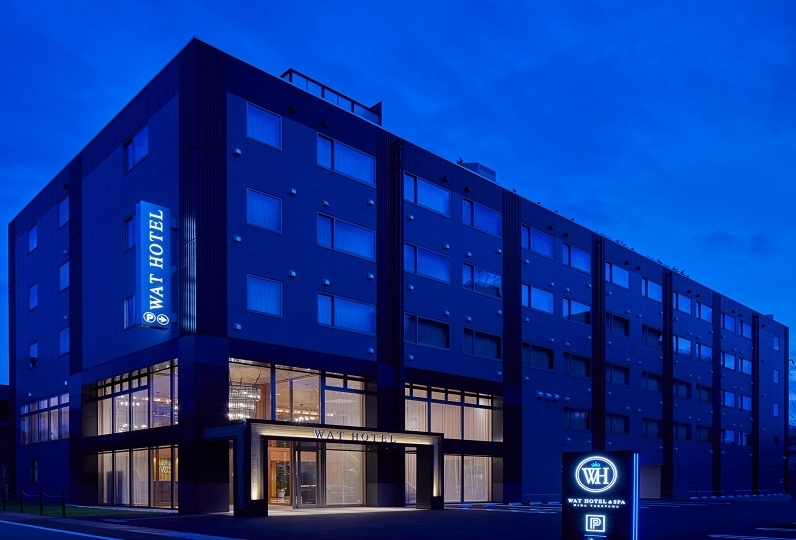 RYU Resort and Spa is located near the world heritage site of Shirakawago and is also about 90 minutes from Nagoya and 45 minutes from Hida Takayama. Astonishing nature, 100% natural hot springs, and cuisine prepared with plenty of seasonal local ingredients: More luxury than one could ever wish for in a trip is offered at the resort. Spacious rooms on the Premium Floor provide true comfort. Hot springs water sourced from Takayama Ryujin Onsen, that springs from 1,300m underground, is clear and said to have a high beautifying effect on the skin. Traditional Japanese cuisine with fresh seafood is delivered from the northern regions every morning and are delicately prepared by our head chef. Start with the chef's special appetizer and enjoy a dining experience that lasts a lifetime. The hotel also has a bar equipped with a foot bath, barbecue grills, a pool, and much more that will help make your stay as pleasurable as possible. To see the surrounding landscape covered in snow is also an intriguing view in winter. 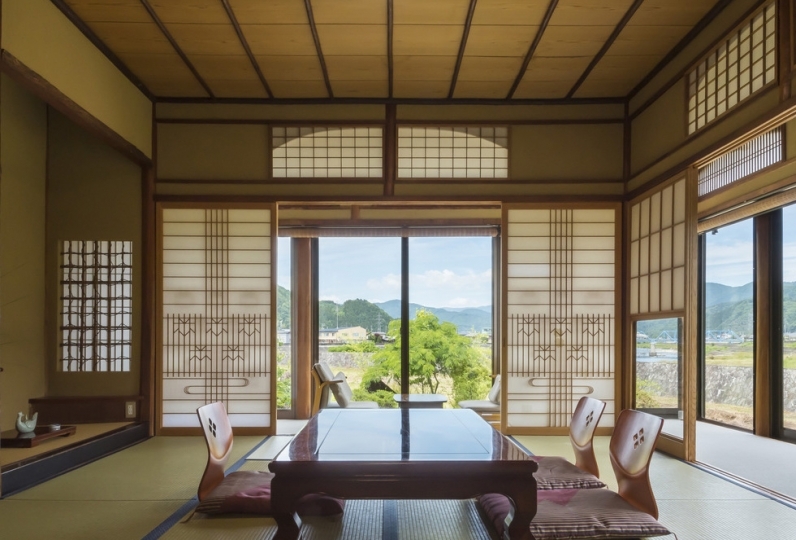 Relax and enjoy the luxury of a hot spring bath with a view overlooking the great nature of Shokawa and Takayama. I was able to spend time with my family. I could see the seasons in a fun conversation with the bartenders and wanted to visit in the summer. The star of the night sky after drinking a cocktail with the family was exceptionally beautiful. At dinner, I was able to taste the ingredients and dishes carefully. The service by our staff was a pleasant and enjoyable trip. Thank you very much. I was very comfortable. It was 100% oversinking hot spring Psycho ♪ Skin light Tsuru Tsui Thank you for the kind and courteous service of the staff. I will go out again this summer. it was fun. Thank you very much. It was built with a poton ahead of the road going to the mountain, and I felt that there were few people staying there and that there were few signs of people that day. However, although it was an extraordinary space when I entered the room, I was welcomed in a spacious and nice room that would make me feel like I came back home. The hot spring at the end was very pleasant. The open-air bath was unsurpassed in the morning when it snowed without interrupting the view in front of the eyes. Also, the quality of amenities (aroma oil I was happy) and the breakfast buffet were especially delicious and satisfied with home-made foods !! Spare time for a drink and a conversation at the stylish softly lit bar after dinner. Foot bath is also offered in the terrace. With the wall facing the forest now renovated to a glass wall, you can dine by the beautifully lit up forest and be charmed by the ever changing colors of the scenery through four seasons. Restaurant near cottages situated in a forest. A section opens as a terrace during summer turning it into a little oasis. There is an open-air bath and a public bath. The clear alkalic water sourced from Takayama Ryujin Onsen sprung from 1,300m underground and is high in beautifying effect. Once warmed up you will stay warm for hours. 100% natural and free-flowing guaranteed. Take a splash at this outdoor pool surrounded by nature. Exclusive for hotel guests. 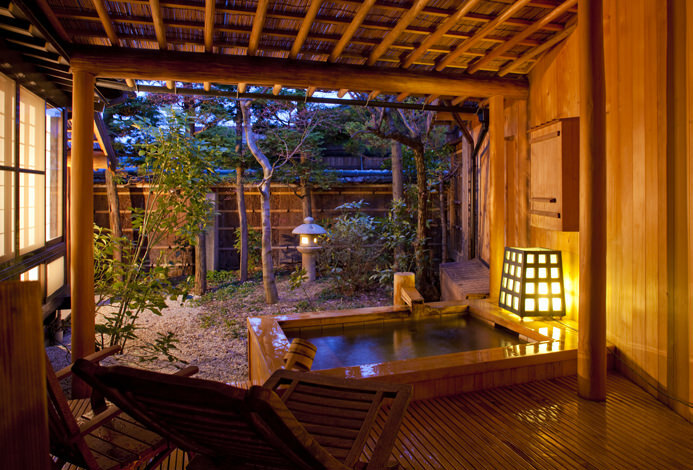 Enjoy a soothing foot bath with a drink in your hand overlooking the dynamic nature of Shokawa. Small children are welcome to stay at Junior Suite and Japanese-Western style room on the Premium Floor. Please consult a Relux concierge for further information. *This offer includes tax and service charge. - Board the highway bus at Meitetsu Bus Center bound for Shirakawago and get off at Sakura no Sato Shokawa Station. - Board the highway bus at Meitetsu Bus Center bound for Takayama. 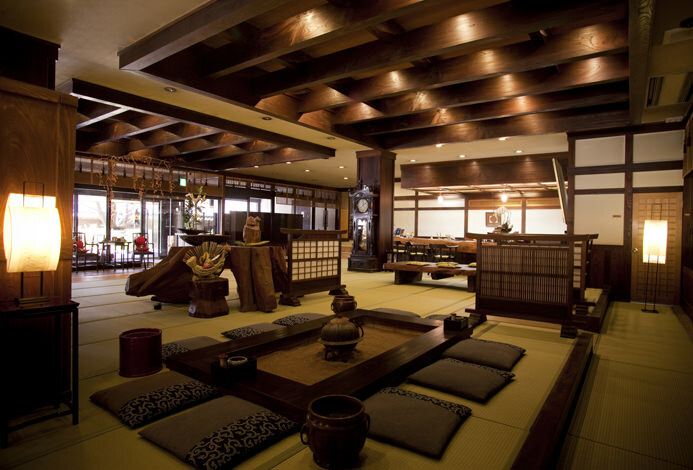 Once arriving in Takayama, take the bus for an hour bound for Shokawa to get to Ryu Resort and Spa. Free shuttle bus is available to and from Takayama line Takayama Station. Since limited number of seats are available please make a reservation at least 5 days prior to arrival.